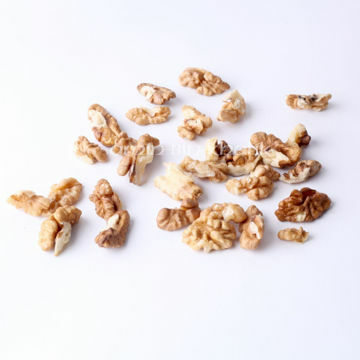 Buy Broken Cashew nuts online|ABK® Buy Worlds Best Saffron, Walnuts, Acacia Honey, Morels & more! The cashew tree (Anacardium occidentale) is a tropical evergreen tree that produces the cashew seed (what is called as cashew nut) and the cashew apple. Cashew nuts are more popular than cashew apples in many parts of the world that do not grow cashews, because the fruit, unlike the nut, is difficult to transport. Cashew nuts are commonly used in Indian cuisine, whole for garnishing sweets or curries, or ground into a paste that forms a base of sauces for curries (e.g., korma), or some sweets (e.g., Kaju barfi). It is also used in powdered form in the preparation of several Indian sweets and desserts. 100gms of cashew nuts contribute about 600 calories. The consumption of cashews on a regular basis and limited manner may help in avoiding blood diseases. Cashew nuts are rich in copper, which plays an important role in the elimination of free radicals from the body. Copper deficiency can lead to iron deficiencies such as anemia. Cashews help lower LDL and increase the carrying capacity for HDL. Cashews nuts contain a powerful antioxidant pigment called Zea Xanthin. This pigment is readily and directly absorbed by our retina. Small quantities of Zea Xanthin helps prevent age-related macular degeneration in elderly and hence helps maintain eye health. Storage: Store cashews in a cool, dry place in an airtight container to avoid absorption of other food odors. Refrigeration is required to ensure quality. Cashews may also be frozen up to 1 year.